Today’s blog post is sponsored by Walmart. As always, all opinions are my own. Spring has sprung and the warmer weather is here (well, at least in Birmingham it is)! 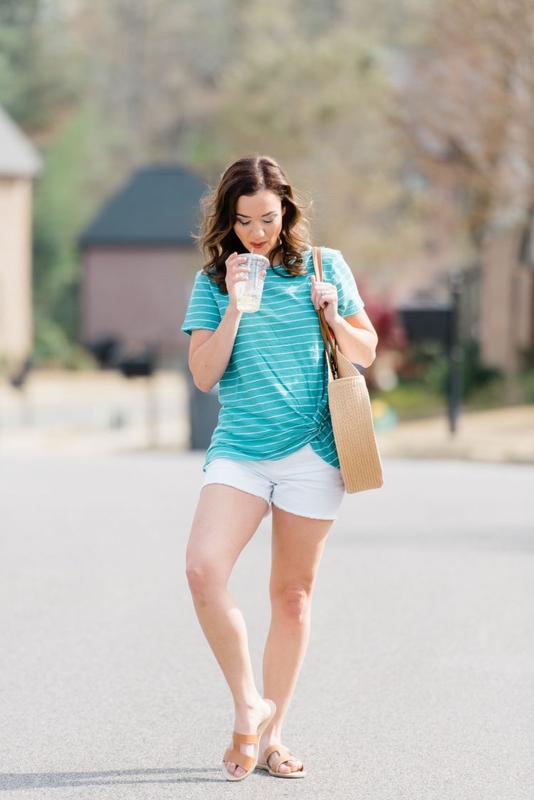 Temperatures are in the 80’s this week and I have officially busted out my shorts, sandals, and I am ready for all the fashion spring essentials in my wardrobe! I recently browsed Walmart’s site and color me impressed! I was shocked at how many cute & fashionable items I found and eventually had to stop myself and check out. 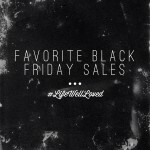 From a daily Deal Of The Day on my Instagram to all my other money saving tips, y’all know I love to find ways to save! I have been a long time fan of Walmart and their fashion. I shared this look last spring in a pair of my favorite affordable denim jean shorts and basic tee. 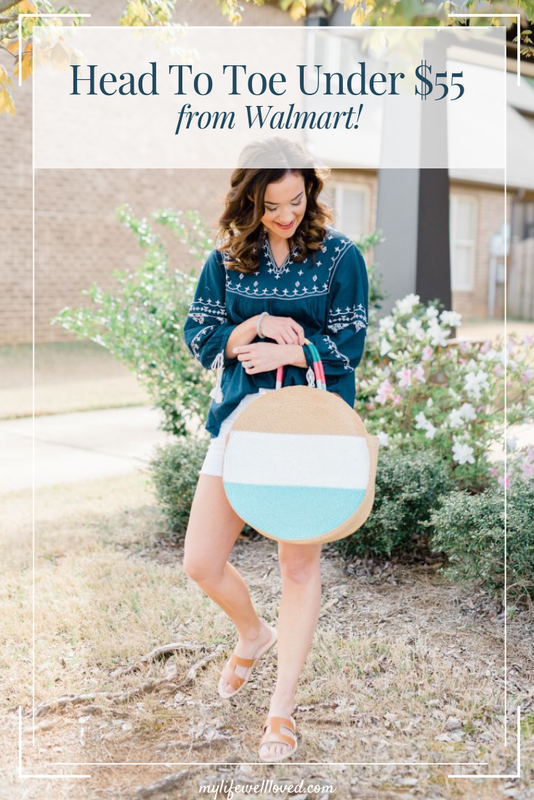 Today I am sharing 2 FULL outfits that I would consider spring essentials. Both outfits are under $55 but I’m wearing a few of the same items in both looks. Crazy enough, you can buy everything featured in this post for under $70! Walmart.com has extremely fast shipping! Most items will ship for free and arrive to you in two days, sometimes even sooner! They have a really good return policy and make it easy for you to return in store if need be. If you have checked out their website for women’s fashion yet, definitely give it a try! I cannot believe this entire look is only $50! 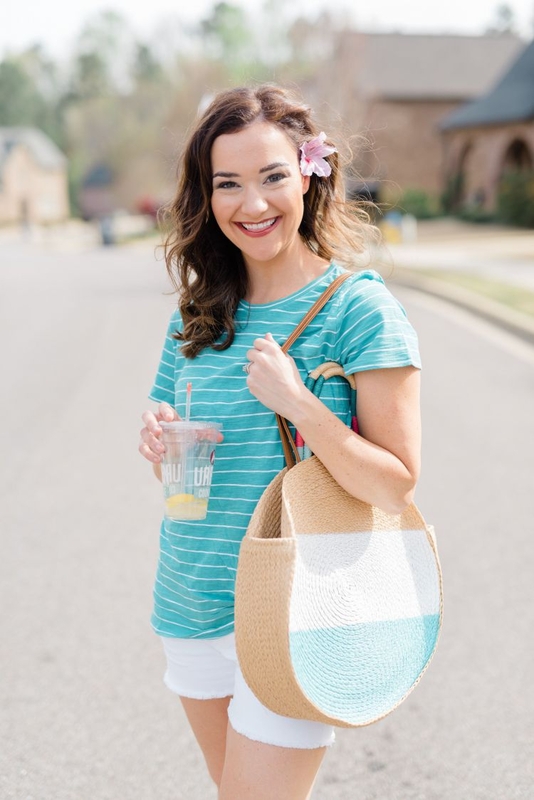 This outfit is casual, cute, and one I will be wearing on repeat all spring + summer long. These Time & Tru Shorts are incredible quality for being less than $15 and are very “mom appropriate”. AKA my booty won’t be hanging out when I am chasing around Leyton and Finn! They are available in 3 denim washes and white like I have. 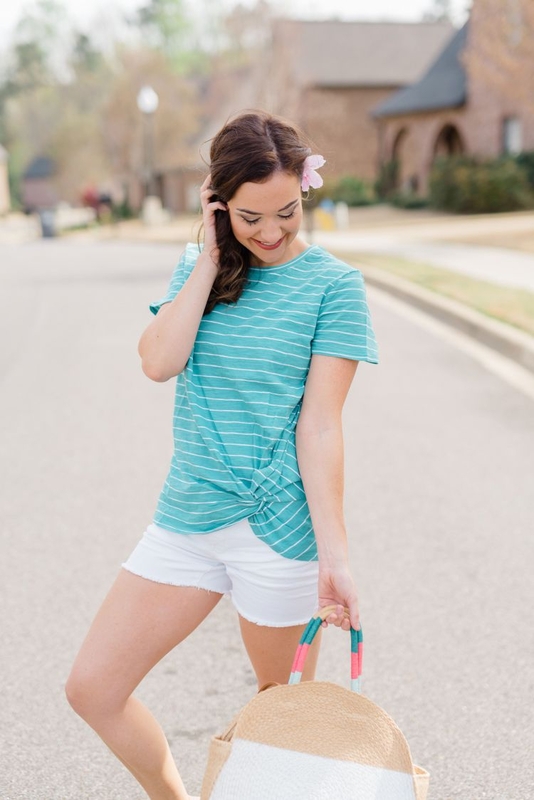 I have the shorts paired with this basic striped front knot tee. 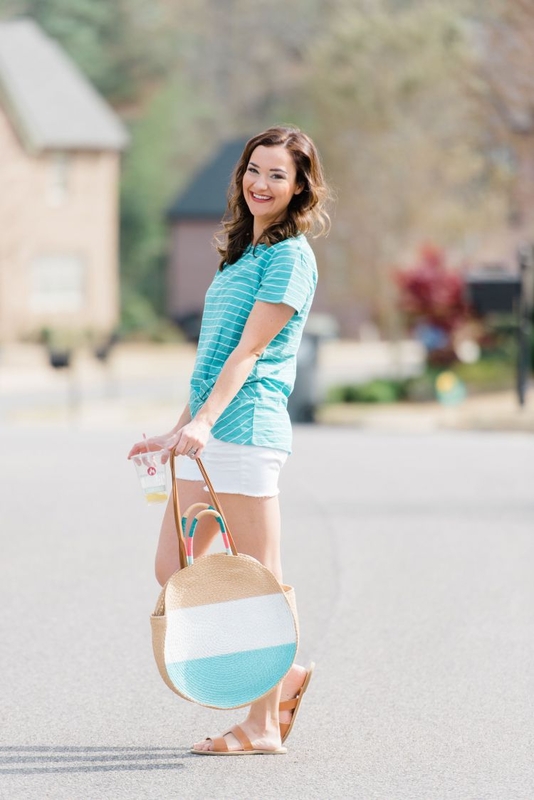 I LOVE this turquoise color for spring and summer but it is also available in 4 other solid colors and 4 stripe colors. 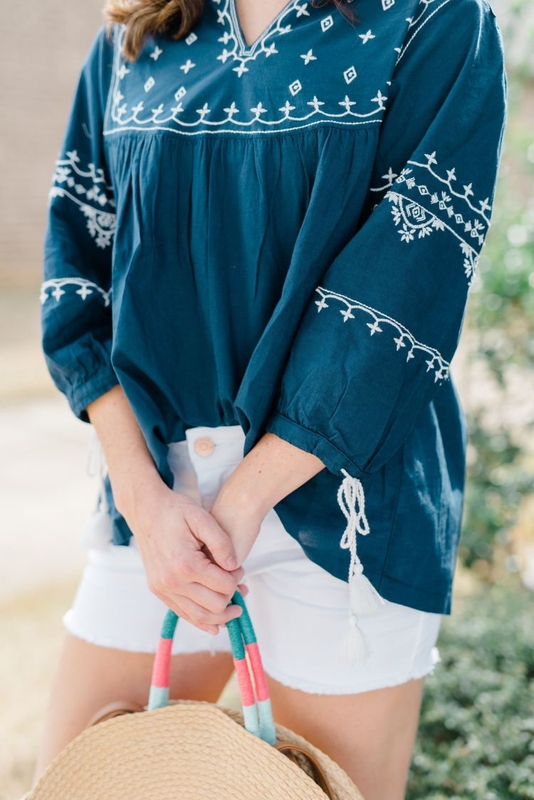 Also love that this top is already knotted so you won’t have to worry about tying it yourself! My accessories just might be my most favorite part about the entire look. 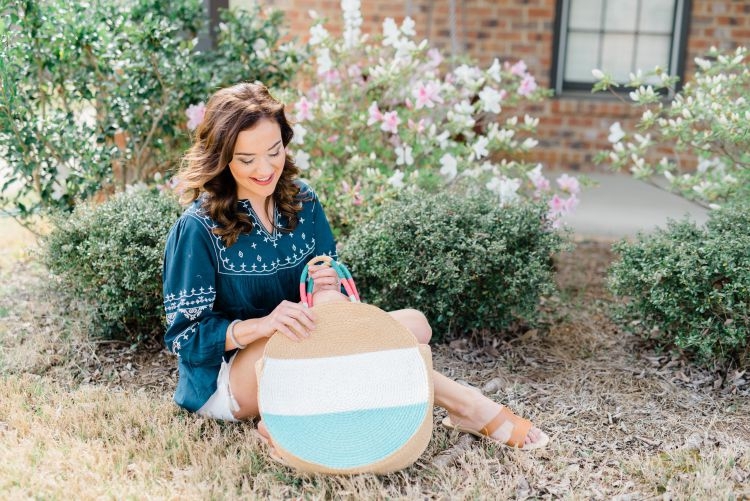 This straw striped handbag is most definitely a summer and spring essential for your wardrobe! Whether to spice up a date night outfit or to take on an upcoming beach trip, you can’t beat this $16 cutie! 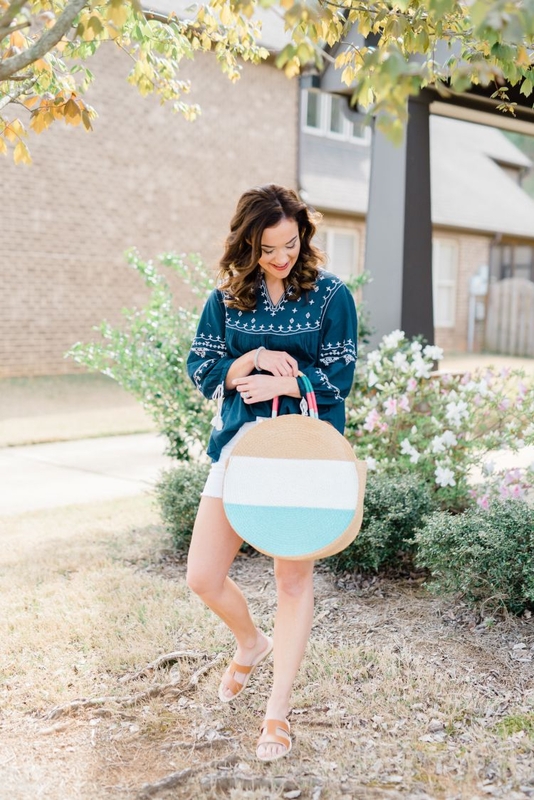 I also love that the back of the bag is solid for times you may not want to make as bold of a statement with your accessories! 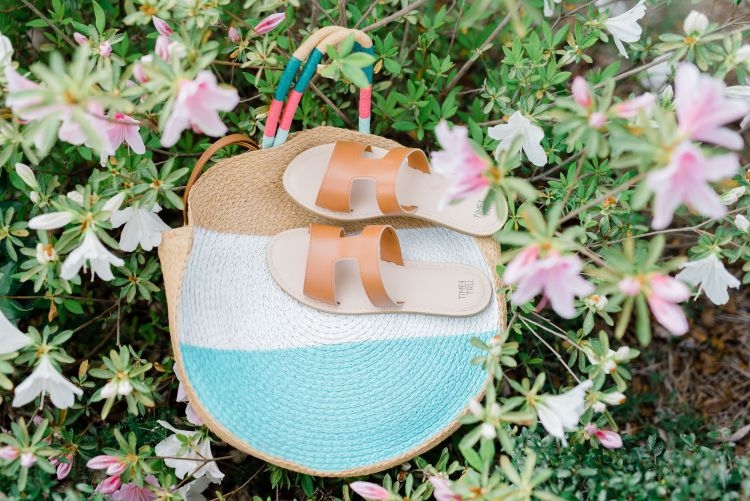 Lastly, these sandals are the BEST spring essentials shoe dupe for your closet. 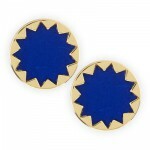 It’s no secret that these look very similar to a very expensive style we all know and love! For only $7, you can’t beat them! 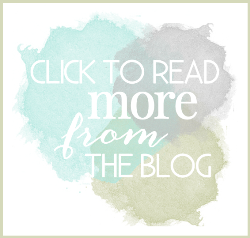 Be sure to shop all my spring shoe dupes HERE! This look is a little more dressy than the other and I think this would be perfect for brunch with girlfriends throughout the summer! 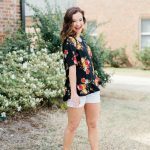 I wore this darling boho blouse on my recent trip to Dallas and received so many questions from y’all about where to find it. Many of you were shocked to find out it was from Walmart and only $15! While traveling, I paired the blouse with gray denim but here you will see I have it with my Time & Tru white shorts! I think this blouse could easily be worn year round, transitioning season to season. This shirt is so easy to front tuck and allows you to better define your waist since the top is overall more loose fitting. The entire outfit is only $52! 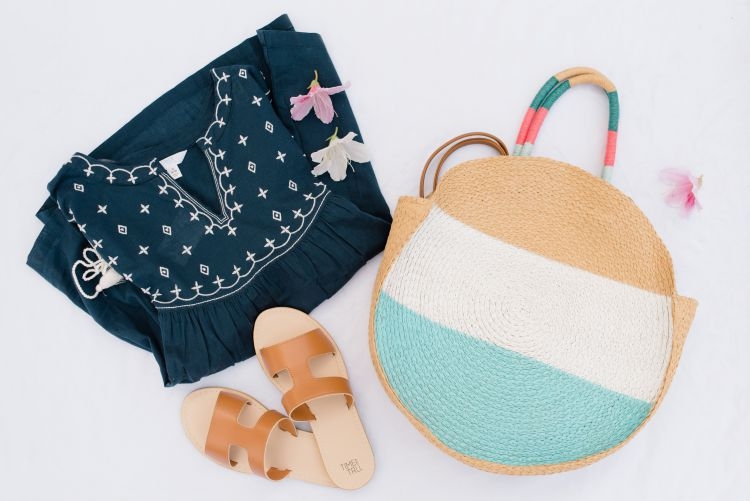 Looking to find more affordable head-to-toe looks from Walmart? Be sure to check out these outfit ideas below! This swimsuit + kimono outfit would be PERFECT for an upcoming beach trip! The pink peplum top gives me alllll the heart eyes! Love this easy swing dress! Would be great to dress up or down! Another great swimsuit option that is all black. Love the crochet details on the one-piece! I could foresee this being my summer “momiform”! Love those sneakers! What is YOUR favorite fashion item ever purchased on Walmart? I’d love for you to share with me in the comments below! 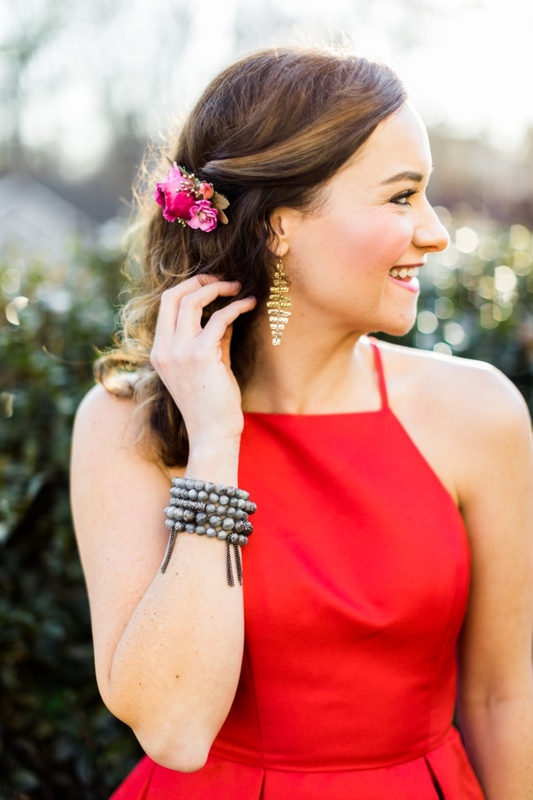 PIN The Spring Essentials Outfit Post for Later!